It’s all about useful and engaging content these days. So if you’re interested in the effective content marketing, you have plenty of options to choose from: blogs (photo blogs, video blogs, and microblogs), updates on social networks, webinars, videos on YouTube, live streaming, and more. To this variety, you can also add podcasts as they are rapidly gaining in popularity. Reportedly, 44% of the U.S. population have listened to podcasts at least once. This is a huge audience if you think about it! Indeed, audio content is great both as a stand-alone product and for diversifying your main content. And of course, podcasts can serve you well as a marketing tool. Making podcasts is not as difficult as it seems. However, before starting your own podcast, you need to be aware of the main challenges you will encounter as a beginner podcaster. This article points out what you should know before getting started. A podcast is a series of audio recordings that are relatively equal in length and have a common topic. Podcast episodes are usually interrelated in one way or another and are released on a regular basis at a specific time. You can listen to them online on dedicated websites or download audio files to your mobile device and play them whenever and wherever you like. Podcasts can be made in the form of a monologue, interview, conversation, conference, etc. There can be one or more hosts, and guests are often invited to provide their expert insights. Podcasting is the process of creating and transmitting audio shows on the Internet. The term itself is a fusion of the words ‘iPod’ (a portable MP3 player) and ‘broadcasting’. 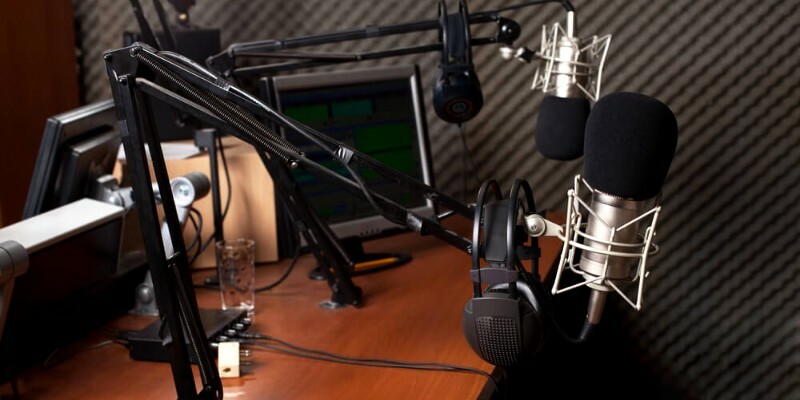 Podcasts bear seemingly more authority than blogs: Podcasts seem to have more value and exclusiveness to them compared to blogs which have flooded the internet; therefore, you have more chances to establish yourself as an expert in your niche creating podcasts rather than blogs. Podcasts are growing in popularity: Since a lot of people use their mobile while commuting in a car, subway or train, podcasts have become increasingly widespread. It is reported that 69% of podcasts are listened to on mobile devices. Podcasting is relatively less competitive than blogging: With the right approach, you can find a new audience in less competitive conditions. Podcasts are quite easy to make: You can create your own podcast with just a microphone connected to a PC, a voice recorder or an MP3 player. Consider these benefits when starting your own podcast to make the most out of your content! Before you launch into recording, take your time to get prepared and put a good thought into what you are going to talk about. This will allow you to achieve the best quality of the recording and systematize your ideas. The first thing you have to do before starting your podcast is choosing a topic. Approaching this task with due commitment is very important. If the subject matter of your podcast doesn’t resonate with the audience, you’ll have a hard time getting it heard. Go for a topic that is relevant: Your podcast must be informative and useful for listeners. 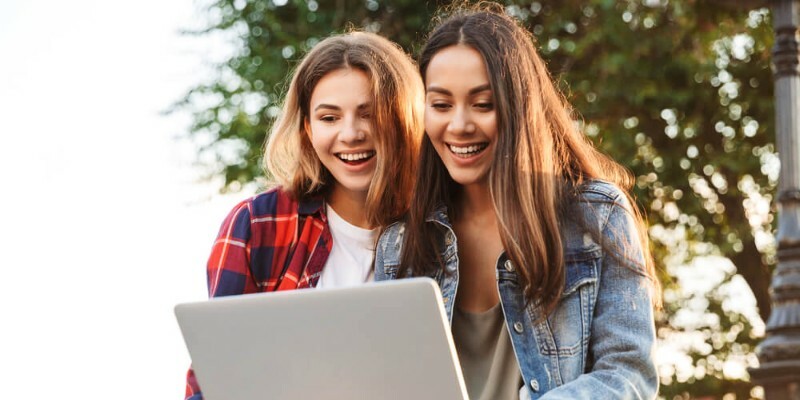 If you don’t have a particular topic in mind, consider conducting research of trends on the internet to find out what people are talking about. Select a topic you are well-versed in: Unless you have enough knowledge and expertise required for an extensive series of podcast episodes, invest some time in studying the necessary materials. Pick a topic you are interested in: You do not have to torture yourself trying to come up with “that very topic”. If you have something to say, it should come naturally. Otherwise, creating a podcast will be a chore, and you’ll soon abandon it. Figuring out your objectives will help optimize the process of creating podcasts and make them more effective in the long run. The more inspired you get, the better podcasts you will make. There is no shortage of quality podcasts nowadays, so you have plenty of examples to follow. Listen to the best podcasts on your topic and pay attention to details, listen carefully what the author says and how. Consider all the nuances you’ve noted when creating your own podcast. A detailed plan will let you put your thoughts in order and reserve time to prepare materials for the next podcast episodes. Outline the topics for your podcast releases and arrange them in the appropriate order. You can also make a mini plan for each episode to have a clear idea of what you’ll be talking about. This will also help you not to lose the thread of the narration during the recording session. Also, think how often you are going to release podcasts (once a week is fine for starters), on which days (find out when your audience is most active online), and what will be their length. Remember that a listener’s attention span is quite short. Therefore, your podcast episode should be no longer than 40 minutes. Around 20 minutes is the optimal length. Music outro: usually the same tune as the intro. It’s true that creating quality podcasts requires good and often costly equipment. But if you can’t afford it just now, you can start with the devices you have at your disposal. Even your old headset with a mic will do if it comes to the pinch. Of course, you can’t expect the quality of podcasts to be high in this case, but it may suffice for the time being. You can upgrade the equipment later as you go along. When it comes to software, the choice is up to you. There is a great variety of applications allowing you to record and edit audio. If you don’t mind paying for more advanced tools, consider the options like Adobe Audition CC or Sound Forge. But if you prefer free solutions, Audacity will probably be your best choice. Don’t stop the recording. Even if you make mistakes, pauses, or lose the train of thought. It’s not live broadcasting. You can edit the whole thing later and cut out the unnecessary parts. Follow the plan of your podcast. This will allow you to talk smoothly and proceed from one subject to another while maintaining the logical links. Improvisation is always a good thing, but don’t get carried away. Otherwise, you may stray too far away from the main topic. Don’t just read from the script. Your audience comes for a podcast, not an audiobook. Podcasting implies showing your personality through your voice, tone, intonation, specific vocabulary, etc. Put some thought into headlines. You will need to come up with a descriptive and catchy headline for each episode. And if you plan to create an entire podcast series, you’ll also need a general name capable of captivating the audience. What to talk about in the first episode? You can tell about yourself and what you do, about the podcast itself (why you’ve created it, what topics will be touched upon, and how often you will make releases). Let your first release be a fascinating introduction to the podcast, its zero episode. The process of editing a podcast consists in cutting out all the unnecessary parts, adding music, removing background noise, stabilizing the sound, etc. You also need to unify the volume level for all of your podcast episodes. All of this can be achieved with the help of editing software like Audacity. After the podcast is recorded and edited, it should be saved in MP3 format with a decent bitrate; 128 kbps should suffice. It is also advised to add proper ID3 tags: podcast name, episode name, author name, cover, etc. These tags provide users with information about your podcast and increase the convenience of browsing the tracks. You can either publish podcasts on dedicated platforms or your own podcast website. There’s a great variety of podcast services where you can upload your content and share it with the audience: iTunes, Tunein, SoundCloud, Google Play Podcast, etc. It is best to use multiple platforms to achieve broader audience coverage. Sharing podcasts on your own website also has its benefits. For example, the possibility to amplify the impression people get from listening to your audio content with striking visuals your unique website design can boast. What is more, you get total control over your content assets and more flexibility in terms of managing your community of fans. And most importantly, if your website is built on a platform like NING, you can effectively monetize your podcasts and make money from them. Creating podcasts is not particularly difficult, but it clearly takes time and patience. 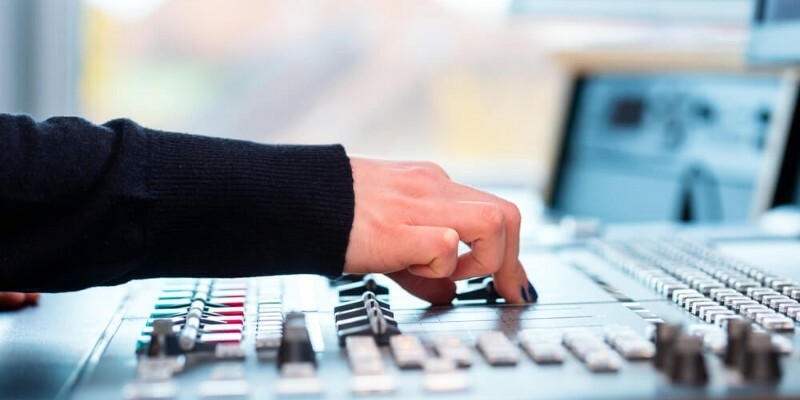 If you are ready to dedicate yourself to recording numerous audio shows, time after time, and think you are disciplined enough to come up with new materials regularly, podcasting is for you. Hopefully, this brief guide will help you to get started and become a successful author podcaster.